In Dostoevsky’s “The Idiot”, Prince Mychkine experiences repeated epileptic seizures accompanied by “an incredible hitherto unsuspected feeling of bliss and appeasement”, so that “All my problems, doubts and worries resolved themselves in a limpid subtle peace, with a feeling of understanding and awareness of the ‘Supreme Principal of life’”. Such ‘ecstatic epileptic seizures’ have been described many times since (usually with less lyricism), but only now is the brain basis of these supremely meaningful experiences becoming clear, thanks to remarkable new studies by Fabienne Picard and her colleagues at the University of Geneva. Ecstatic seizures, besides being highly pleasurable, involve a constellation of other symptoms including an increased vividness of sensory perceptions, heightened feelings of self-awareness – of being “present” in the world – a feeling of time standing still, and an apparent clarity of mind where all things seem suddenly to make perfect sense. For some people this clarity involves a realization that a ‘higher power’ (or Supreme Principal) is responsible, though for atheists such beliefs usually recede once the seizure has passed. In the brain, epilepsy is an electrical storm. Waves of synchronized electrical activity spread through the cortex, usually emanating from one or more specific regions where the local neural wiring may have gone awry. While epilepsy can often be treated by medicines, in some instances surgery to remove the offending chunk of brain tissue is the only option. 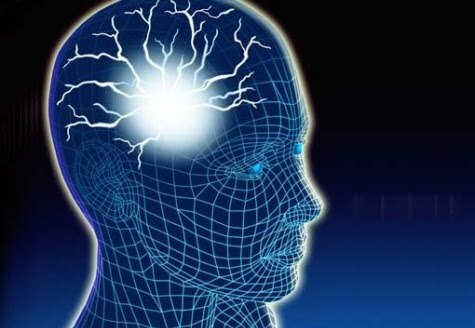 In these cases it is now becoming common to insert electrodes directly into the brains of surgical candidates, to better localize the ‘epileptic focus’ and to check that its removal would not cause severe impairments, like the loss of language or movement. And herein lie some remarkable new opportunities. Recently, Dr. Picard used just this method to record brain activity from a 23-year-old woman who has experienced ecstatic seizures since the age of 12. Picard found that her seizures involved electrical brain-storms centred on a particular region called the ‘anterior insula cortex’. The key new finding was that electrical stimulation of this region, using the same electrodes, directly elicited ecstatic feelings – the first time this has been seen. These new data provide important support for previous brain-imaging studies which have shown increased blood flow to the anterior insula in other patients during similar episodes. The anterior insula (named from the latin for ‘island’) is a particularly fascinating lump of brain tissue. We have long known that it is involved in how we perceive the internal state of our body, and that these perceptions underlie emotional experiences. More recent evidence suggests that the subjective sensation of the passing of time depends on insular activity. It also seems to be the place where perceptions of the outside world are integrated with perceptions of our body, perhaps supporting basic forms of self-consciousness and underpinning how we experience our relation to the world. Strikingly, abnormal activity of the insula is associated with pathological anxiety (the opposite of ecstatic ‘certainty’) and symptoms of depersonalization and derealisation, where the self and world are drained of subjective reality (the opposite of ecstatic perceptual vividness and enhanced self-awareness). Anatomically the anterior insula is among the most highly developed brain regions in humans when compared to other animals, and it even houses a special kind of ‘Von Economo’ neuron. These and other findings are motivating new research, including experiments here at the Sackler Centre for Consciousness Science, which aim to further illuminate the role of the insula in the weaving the fabric of our experienced self. The finding that electrical stimulation of the insular can lead to ecstatic experiences and enhanced self-awareness provides an important advance in this direction. Picard’s work brings renewed scientific attention to the richness of human experience, the positive as well as the negative, the spiritual as well as the mundane. The finding that ecstatic experiences can be induced by direct brain stimulation may seem both fascinating and troubling, but taking a scientific approach does not imply reducing these phenomena to the buzzing of neurons. Quite the opposite: our sense of wonder should be increased by perceiving connections between the peaks and troughs of our emotional lives and the intricate neural conversations on which they, at least partly, depend.